As she struggles to face a future without him, a widow asks for her help to start a new business and Katrina quickly agrees. She needs time to heal her broken heart, to untangle her messy life, to find a purpose. What she doesn’t need is attention from Andy Miller, a farm hand who arrives at the widow’s farm just when help is most needed–and who always seems to say the right thing, and be in the right place, at the right time. Is Andy for real, or too good to be true? Deceived once before, Katrina is determined to keep her feelings in check. 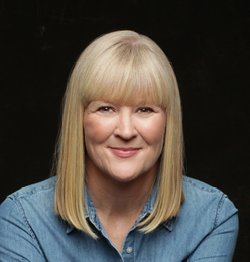 Suzanne Woods Fisher welcomes readers back to Stoney Ridge in her new series, The Bishop’s Family. Fans of Fisher’s earlier Stoney Ridge novels will enjoy revisiting this beloved community and its residents and will fall in love with a host of new characters. I loved everything about this multi-faceted story! It’s brimming with charming characters, suspense and surprises, inspiration, and romance. The Imposter captivated me from beginning to end and left me begging for more! 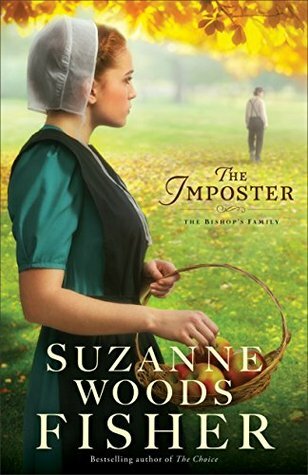 I adore Suzanne Woods Fisher’s stories and can’t wait to continue this new series. Suzanne can be found on-line at www.suzannewoodsfisher.com.